Kasie has over 18 years of real estate experience servicing buyers and sellers in the Bartlesville area and has been Broker/Owner of Quest Realty for 8 years. She is known for providing the best, personalized service throughout the transaction. Kasie prides herself on her relationships with her clients and gets most of her business from referrals and recommendations. importance of an internet presence and networks with other Agents to reach the largest audience possible. Kasie grew up in the Bartlesville area and currently lives in rural Bartlesville with her husband, John and their son, Zane. Together they love to camp, ride motorcycles and enjoy their large extended family. Kasie also serves on the Board of Directors for Habitat for Humanity. Contact Kasie for more information on any of her real estate services with no obligation! earned him high praise from loyal clients. 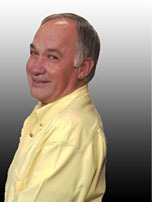 Beryl was born and raised in the Bartlesville/Oglesby area and graduated from College High in 1965. After attending college in Keene, TX he joined the Army and proudly served our country in Vietnam. He now lives in Bartlesville with his wife, Pam and their awesome dog, P.D. He enjoys riding his Harley, hard work and his grandson, Zane. Beryl specializes in listing and selling single family homes, farm & ranch and commercial properties. Please contact him anytime. He is here to assist you with all of your real estate needs. Connie Bottenfield is......"Your Real Estate Expert." Connie has lived in Bartlesville, OK for the past 40+ years and just loves it. She knows all the neighborhoods inside-out, and can help you select the best one for your family's needs. As a dedicated Realtor®, she will work hard to find that special property for you. If you are a Home Buyer, please call Connie and she will guide you through the process of home buying, including Mortgage options, Making an offer, Inspections and Closing on your home. Call Connie (918) 766-1528 to get started with your home search. If you are selling your home, Connie uses the latest Internet marketing tools to expose your property to the widest possible range of buyers. 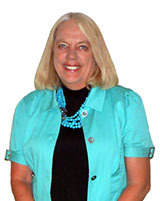 Connie advertises her listings on multiple websites, the Bartlesville Real Estate Guide and in the local newpaper. 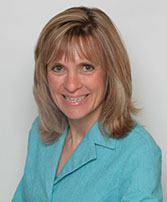 If you are wanting an expert to sell your home, give Connie a call (918) 766-1528 for a free market analyst.